The Murray Inquiry: Has the boat been rocked? The Financial System Inquiry (FSI) flowed through 2014 like a recurring musical theme, keeping the industry on tenterhooks and eagerly awaiting David Murray’s final revelations. As The Adviser went to press, Mr Murray had just published the final report. While the government considers the FSI’s 44 recommendations, we cover the fundamental issues that directly affect the third-party channel and ask the critical question: is broking about to change? Speaking at the release of the final report on 7 December 2014, Treasurer Joe Hockey said the FSI had received 280 submissions in its first phase and 6,500 following the interim report. Regarding the mortgage space, the FSI questioned the systemic risk of housing, bank capital, vertical integration and broker commissions. In its much-anticipated interim report, released on 15 July 2014, the Murray Inquiry called for further evidence of vertical integration in mortgage broking. This was met by a barrage of second-round submissions both defending and lambasting bank ownership of broker channels. The majors – sans ANZ – defended their ownership of third-party businesses, as did the MFAA. The regional and community banks, however, vehemently attacked vertical integration in mortgage broking. The Adviser’s sister publication, Mortgage Business, took it to the polls and asked readers whether they thought vertical integration in mortgage broking creates a conflict of interest. Of the 193 readers polled, 79.8 per cent believe a conflict of interest is created, while 20.2 per cent said no conflict is created. CUA chief executive Chris Whitehead told The Adviser that a regulatory gap has allowed bank ownership to go undisclosed. “Something we have highlighted is the multi-brand strategies the majors – particularly Westpac – are doing, which creates a lot of confusion,” Mr Whitehead said. “Westpac even acknowledged there are customers out there who prefer not to deal with the big four and that’s one of the reasons they have these alternative brands, which is a bit ironic. “If you walk past a Bankwest or Bank of Melbourne branch you will see them comparing themselves to the big four and that feels misleading,” he said. On 10 October 2014, a panel of financial services professionals gathered at the Finsia annual conference in Sydney to discuss the likely outcomes of the FSI. Deborah Ralston, director of the Australian Centre for Financial Studies, was confident that calls for a ‘level playing field’ by the non-majors would be heeded. ‘Winning’ the FSI, for the non-majors at least, would mean being able to hold the same amount of capital for their home loans as the majors are required to do. For brokers and their clients, a more competitive mortgage market. In a combined submission to the FSI, the regional banks called for a drop in mortgage risk weights. The submission – a collective effort by Suncorp, ME Bank, Bank of Queensland (BOQ) and Bendigo and Adelaide Bank – points out that the rest of the banking sector competes hard for housing lending despite the regulatory anomalies that provide the major banks with significant funding and capital advantages. The dual nature of the capital adequacy regime enables ‘advanced’ banks to hold much less capital against a housing loan than other banks using the ‘standardised’ approach, the submission states. As a result, the non-major lenders recommended a ‘levelling of the playing field’ in terms of capital requirements. These pleas were heard by Mr Murray, who recommended the big four share equal risk weights on mortgages with their smaller competitors. Any news about broker commissions always gets a heavy response from The Adviser’s readers. So it was no surprise that when a submission from global professional services firm EY called for an end to commissions, it caused an outcry. In its second submission to the FSI, EY observed that disclosure rather than vertical integration is the main issue impacting the transparency of the third-party channel. The submission drew blatant parallels with the financial planning space. While the MFAA and FBAA codes of conduct, the NCCP, and the responsible lending and ‘not unsuitable’ loan provisions have improved practices and increased disclosure obligations both for brokers and lenders, such standards do not equate to the introduction of the ‘best interests’ tests, conflict priority rules, or conflicted remuneration provisions under the Future of Financial Advice reforms, the submission said. “Greater consistency in regulatory standards and conflicts management should be considered, particularly given the likelihood of convergence between mortgage broking and financial planning industries,” it said. This could be achieved by improving disclosure arrangements, EY said, or ensuring greater consistency or realignment of pricing and remuneration structures, including upfront commissions, ongoing trails and volume bonus arrangements. “A fee-for-service requirement, whereby payments are made directly from the customer to the broker, as opposed from the product manufacturer, would largely mitigate this conflict,” the firm said. Deloitte partner, financial services, James Hickey took issue with this submission, slamming EY’s “unfair comments”. “You can’t draw that parallel between financial planners and mortgage brokers,” Mr Hickey said. Many people unfairly view commissions in a negative light, but they have been around for centuries as a viable and acceptable way of remuneration between a product provider and an intermediary, provided it is all disclosed and doesn’t create bias, explains Mr Hickey. The uproar from brokers was generally confined to The Adviser message boards – that was until a heavy hitter came out swinging in support of the third-party channel. In a surprise last-minute submission, mortgage aggregator AFG urged David Murray to consider the significance of broker commissions in the context of the broader Australian mortgage market. Dated 20 November 2014, the submission highlighted the detrimental effect that a fee-for-service model would have on Australia’s non-major lenders. In a letter to Mr Murray, AFG states that the removal of broker commissions would have serious ramifications for the broader lending market. “Despite the fact that commissions are already disclosed with complete transparency, some submissions to the FSI are seeking to undermine the broking model under the alleged banner of ‘transparency’ by proposing the abolition of the commissions-based broking model in favour of a fee-based model,” the submission said. “The proposal being promoted by some interests would result in mortgage customers being required to pay a direct fee for mortgage broking services,” it said. AFG argued that corralling mortgage customers into bank branch networks will have an “extremely detrimental impact” on Australia’s remaining non-major lending institutions. “The loss of the broker-based distribution network would put these lenders at a major disadvantage to the large banks,” the submission stated. By undermining the broking model, proposals before the FSI advocating the removal of commissions would ultimately result in a significant reduction in competition in the mortgage sector, to the detriment of the consumer, AFG argued. Following a call for support from its lender panel, AFG received feedback from 18 lenders warning against commission reform. Endorsements were received from ANZ and NAB as well as from Adelaide Bank, AMP Bank, Bank of Queensland, Bluestone, Citi, Heritage Bank, ING Direct, La Trobe Financial, Liberty Financial, Macquarie Bank, ME Bank, MyState Bank, P&N Bank, Pepper, Suncorp Bank and Wide Bay Australia. Acknowledgement was received – but no endorsement provided – from Bankwest and Westpac. AFG said it is yet to receive any response from Commonwealth Bank or St George. NAB’s executive general manager of growth partnerships, Anthony Waldon, expressed the major bank’s support for the current commission model. “The current commission-based system requires all remuneration and potential conflicts of interest to be disclosed to customers, and we believe that in general brokers do a good job in meeting these requirements,” he said. MyState also endorsed the AFG submission. “Non-major bank lenders, like MyState, are highly dependent on brokers in order to allow consumers access to their products,” managing director Melos Sulicich said. 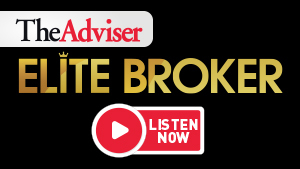 “We believe that the vast majority of brokers provide advice to customers based on their needs and suitability, with price and speed of service the main drivers,” Mr Sulicich said. “Our view is an upfront payment to the broker for providing us with a loan is fair for the work, research and advice they provide and we also recognise the ongoing relationship the broker has as our ‘local contact/adviser’, so pay an ongoing trail commission,” he said. Bluestone national sales manager Royden D’Vaz said the lender supports leaving the current remuneration model in its present form, while Heritage Bank said the broker channel vital to its business. ME Bank argued that “vertical integration is distorting the way in which mortgage brokers direct borrowers to lenders” – a claim echoed by other smaller lenders. However, Aussie executive chairman John Symond told the inquiry that it would be irrational for Aussie brokers to favour CBA, which owns 80 per cent of the group. “[Brokers] have no rational incentive to favour the products offered by their parent company over another lender and will instead respond to any shift in market pricing and incentives,” he said. Similar comments were heard from Mortgage Choice, in which CBA has a 17 per cent stake. Chief executive Michael Russell said brokers take pride in acting in the best interests of their clients, although he acknowledged that a “perceived conflict” can sometimes exist. “The perception that bank ownership distorts a broker’s recommendations often arises when the bank on the register of the head group elects to pay a higher level of commission, or lowers their aggregation fees, as an inducement for business,” he said. Ballast chief executive Frank Paratore says he has no problem with the principle of banks owning aggregators because the professionalism of brokers is beyond question. “Where I would be disappointed would be if there were preferential rates provided or if there were stronger incentives provided with regards to selling a specific product, because the whole mandate of being a broker is to provide a level of choice,” he said. Finsure managing director John Kolenda also said he was comfortable with the idea of banks owning aggregators, although he added that ASIC might be monitoring the situation. It was up to ASIC to decide whether or not to place limits on the number of mortgage groups in which a lender could invest or the extent of any shareholding, he said. “That’s at a strategic level, but at an operational level it’s hard to see that a lender can necessarily influence what a broker does because a broker doesn’t sell one product,” he told The Adviser. CBA – which, as noted, owns 80 per cent of Aussie Home Loans – argued the higher percentage of loans directed to smaller lenders by brokers compared to the percentage of loans sourced directly by smaller lenders is indicative that integration has made no impact on competition, nor does it distort the way brokers direct borrowers to lenders. Meanwhile, Westpac, owner of mortgage manager RAMS, similarly argued that “there is no cogent evidence” that vertical integration in mortgage broking has distorted competition. The lender said vertical integration structures have actually generated pro-competition outcomes for consumers. On the other side of the fence, the regionals claimed that while they have “no firm evidence” that vertical integration is distorting the way brokers direct borrowers to lenders, there may be some means of increasing a broker’s remuneration without having to disclose it to mortgage customers. “For example, where a broker has to pay a fee, or the aggregator retains part of the commission for utilising aggregator platform infrastructure, such as a computer system, this fee could be reduced or the full commission passed through to the broker if the broker originated a loan supplied by the broker’s bank owner,” the submission said. “This fee discount would not need to be disclosed to the mortgage loan customer, but stands as a clear conflict,” it said. Further, the regionals argued that the majors’ dominance of the third-party channel will negatively impact the role of brokers in driving innovation and consumer welfare. “The mortgage broker channel drove much of the competition and innovation in the lending market in the period leading up to the GFC,” the submission said. “The broking industry emerged in the 1990s partly in response to the widespread closure of bank branches. It assisted smaller banks in achieving a nationwide footprint and was a key player in the period of mortgage finance competition and innovation,” it said. The regionals took issue with the fact that, while calling for further information, the FSI has not outlined options to address concerns over ownership of mortgage brokers by the major banks. In its final report, the FSI recommended greater transparency of vertically-integrated broker groups. It stated often consumers do not understand their broker’s association with product issuers. “This association might limit the product range an adviser or broker can recommend from,” the report said. “Of recently surveyed consumers, 55 per cent of those receiving financial advice from an entity owned by a large financial institution (but operating under a different brand name) thought the entity was independent. “Although stakeholders have provided little evidence of differences in the quality of advice from independent or aligned and vertically-integrated firms, the inquiry sees the value to consumers in making ownership and alignment more transparent. “In particular, these disclosures should be broader than Financial Services Guide and Credit Guide rules currently require, and could include branded documents or materials. Connective principal Mark Haron told The Adviser it is “a well-known fact” some aggregators provide additional incentives to brokers to sell certain products. “That will be done not necessarily through cash bonuses or commissions from the particular funder, but more from the aggregator reducing or refunding aggregation fees based on the sale of those products,” Mr Haron said. “That type of behaviour can be done, but it is up to the broker sitting opposite the customer to disclose that conflict of interest,” he said. Under NCCP, brokers are obligated to disclose any conflict of interest, but the corporate watchdog has lately questioned the effectiveness of disclosure. Speaking at the Centre for International Finance and Regulation conference in Sydney in May last year, ASIC deputy chair Peter Kell said ASIC’s approach over the past 15 years has been “anything goes as long as you disclose”. “The role of disclosure is an underlying principle in structuring your regulatory requirements and regimes,” Mr Kell said. “That was central to the  Wallis Inquiry regulatory philosophy and is central to ASIC’s powers. “The approach we have had over the last 15 years has been ‘anything goes as long as you disclose’, that you can issue any sort of product out there – which has certainly enabled a wide range of choice – and you can have any sort of remuneration structure with conflicts of interest imbedded in it, as long as you disclose,” said Mr Kell. “ASIC would make the case that conflicts of interest, especially in retail markets, are not particularly well addressed by disclosure and it’s time to rethink that philosophy. The regulator is increasingly looking at areas where disclosure does not address market issues, Mr Kell added. “We are looking into areas where disclosure is not addressing the market failure, not improving market outcomes, but all it is doing is imposing costs on those that produce the disclosure documents,” he said. These comments echo those made by Mr Murray in a speech on the day of the final report’s release. Disclosure and financial literacy, he said, are not sufficient by themselves for the system to work in the interests of consumers. Mr Murray said the proposals are designed to ensure incentives exist for firms to improve their culture and fair treatment of their own customers. The government is expected to make an announcement on the FSI’s final recommendations by the end of 2015.